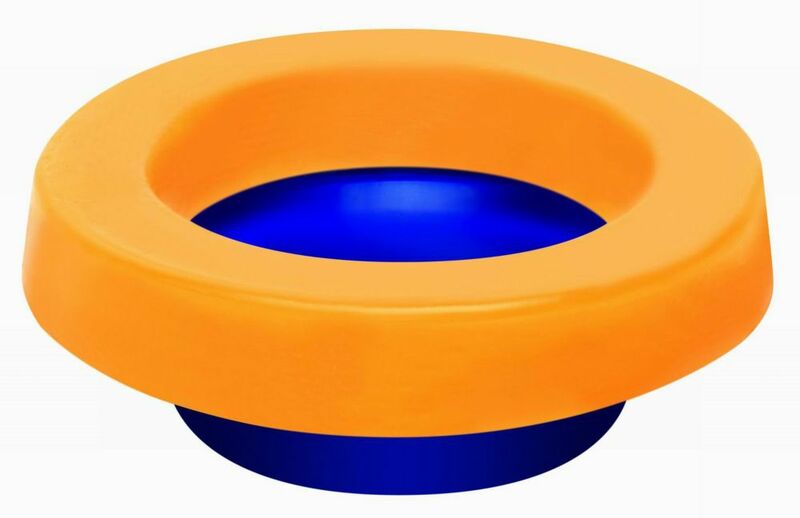 Spacio Elastic Toilet Gasket (Wax Free) with Toilet Bolts included. The innovative Spacio Elastic Toilet Gasket is Wax-less and makes the toilet intallation very easy. It can be repositioned and compressed without losing its shape, allows movement without leaking and it is flexible and sticky to ensure a tight seal. It allows for multiple toilet setting attempts. Replacement Tank Lever fits American Standard Toilet Model #738153-0020A . JAG Plumbing Products strives to bring customers the best products in Canada and make them available on the best online shopping platform: Homedepot.ca - Owned and Operated in Ajax, Ontario, Canada, JAG PLUMBING prides itself on offering Home Depot Customers durable, high quality, non OEM replacement plumbing parts. Now you can repair your Eljer brand toilet easily and economically with the JAG PLUMBING PRODUCTS replacement touch flush lever Kit. This Assembly contains parts to repair the Eljer 495-6058-00 assemblies. JAG Plumbing products strives to bring on-line Customers the best replacement and repair parts available to North America. Experts in the field of non-OEM repair parts; JAG Plumbing offers customers a selection of economic solutions for their every-day home plumbing repairs. Based in Ontario Canada, the Team at JAG scours North America to bring on line customers unique, hard to find parts of the highest quality. Elastic Toilet Gasket (Wax Free) with Toilet Bolts included. The innovative Spacio Elastic Toilet Gasket is Wax-less and makes the toilet intallation very easy. It can be repositioned and compressed without losing its shape, allows movement without leaking and it is flexible and sticky to ensure a tight seal. It allows for multiple toilet setting attempts. Elastic Toilet Gasket (Wax Free) with Toilet Bolts included. is rated 4.0 out of 5 by 1. Rated 4 out of 5 by HandyFixer from This Spacio gasket is indeed sticky and elastic. But it does not bounce back immediately like a r... This Spacio gasket is indeed sticky and elastic. But it does not bounce back immediately like a rubber. Rather, it slowly go back to its original form like a memory foam mattress. It is covered with wax paper in the box. If you touch it with your finger it would stick to it, but you can pull it away with no residue. It is harder to compress than a wax ring. From the side view the elastic portion looks to be about 13/16 inch thick. However, the blue plastic funnel inserts into the elastic and takes up slightly more than half the height. Therefore you cannot compress the gasket to less than 7/16 inch thick without breaking the funnel. Effectively, the gasket's compressible range is from 0 (not compressed at all) to 9/16 inch (maximum compression before breaking). The color of the product is dull light brown like a wax ring, not bright yellow as shown in the product photo. I ended up not using it because I was not able to compress the toilet down to the floor. Either I'm not heavy enough or my flange is too high. I'm going to guesstimate that a floor-level flange (which is 1/4 inch lower than standard) would work best.